A Brooklyn native, world traveler, and citizen of the world, Patricia has visited 44 countries. She believes the "travel bug" is ingrained in her DNA. As a three year old, unable to read, Patricia recalls looking at pictures of Egypt in the encyclopedia and being fascinated. She knew she would travel to Egypt one day. A milestone, in more than one way, thirty years later, Egypt became the 30th country she visited. While there, she explored the Pyramids of Giza, the Nile and the temples of Abu Simbel. 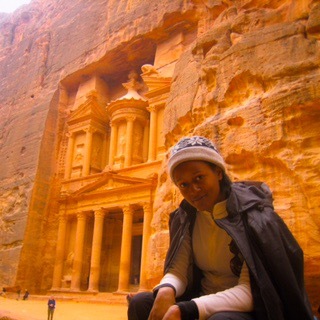 Petra, one of her last stops in Jordan before entering Egypt was a prefect introduction for adventures to come. In September 2012, Patricia moved to Riyadh, Saudi Arabia, to teach English at a university. She had no idea what she was getting herself into. Especially as she entered a Middle Eastern nation, which requires your job's permission to obtain a visa to exit the country! 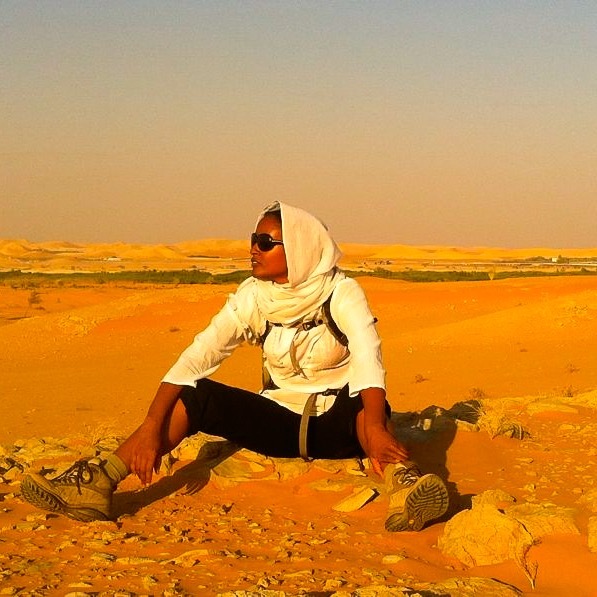 She knew her gut wouldn't lead her astray, so off she went to Riyadh on her next adventure. Patricia quickly learned Saudi Arabia is a country like no other. While the experience was unique and worthwhile, it was essential for her to incorporate some of her usual routines as much as possible. She quickly made friends and connected with a hiking group. Weekly hikes to a popular cliff called The Edge of the World was among the different trails she explored with the group. Her teaching contract afforded her many days off, which were not wasted indoors. On one of her breaks, she ventured to Sri Lanka, a country not on her life list. She savored some of the islands most exotic delights, from mangosteen to durian. She hiked Adam's Peak and visited tea fields. She soothed her body and soul with herbal baths and Ayurvedic massages. The Kenyan Proverb "The Earth was not given to you by your parents, it was loaned to you by your children. ", motivates this avid gardener as she travels. She's been gardening with community gardens in Brooklyn and now in Dallas for the last 4 years. She is a student studying to become a registered dietitian. Gardening allows her to practice what she preaches, and is a natural source of therapy for her soul. In January 2012, she led a community gardening initiative in Croix-des-Bouquets, Haiti. Some weekends she would visit Les Cayes, a nearby beach-side village, a fantastic way to recharge her batteries! I will never forget the best homemade seafood chowder I had there. Patricia knows there are few sureties in life, but she believes once you've traveled to another country, you never return the same person. "Pictures can never fully capture the experience we carry in our hearts and souls, so I always encourage people to get out there and see the world", she says. Life is too short to sweat the small stuff. Follow us on Instagram to see all our Souljourns.